More Alexander Wang news! His brand has opened its first European flagship in London, proof that Wang has no plans to slow down after his announcement of his impending Balenciaga departure. 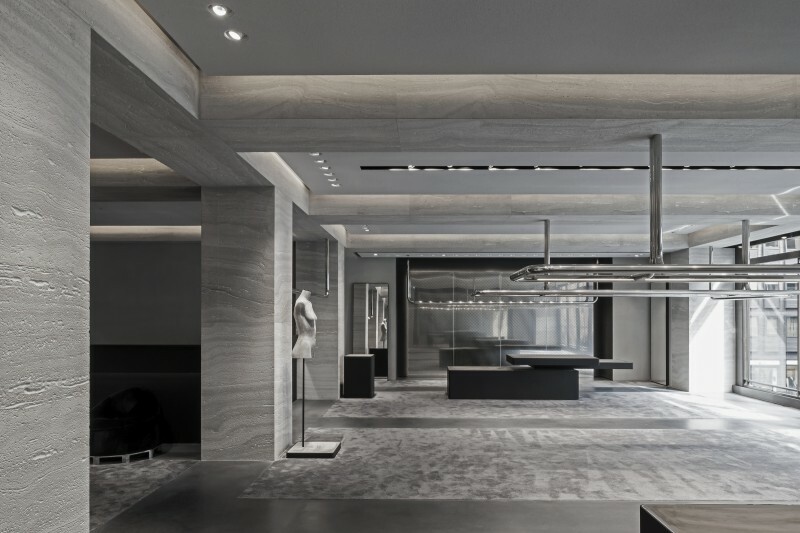 The new 6,700-square-foot retail space is located at 43-44 Albermarle Street in Mayfair. 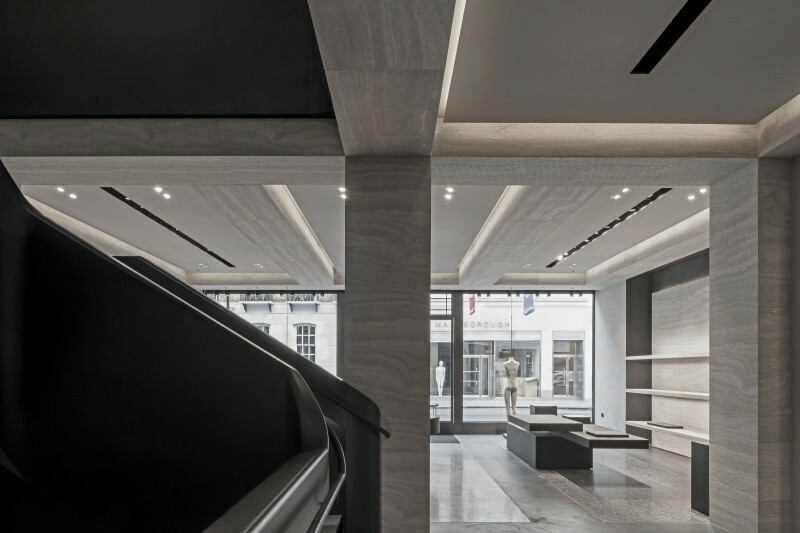 The store, which is in a former post office building, was designed by Belgium architect, Vincent van Duysen, and will carry the brand’s women’s and men’s ready-to-wear collections as well as accessories, T by Alexander Wang, and the OBJECTS collection. 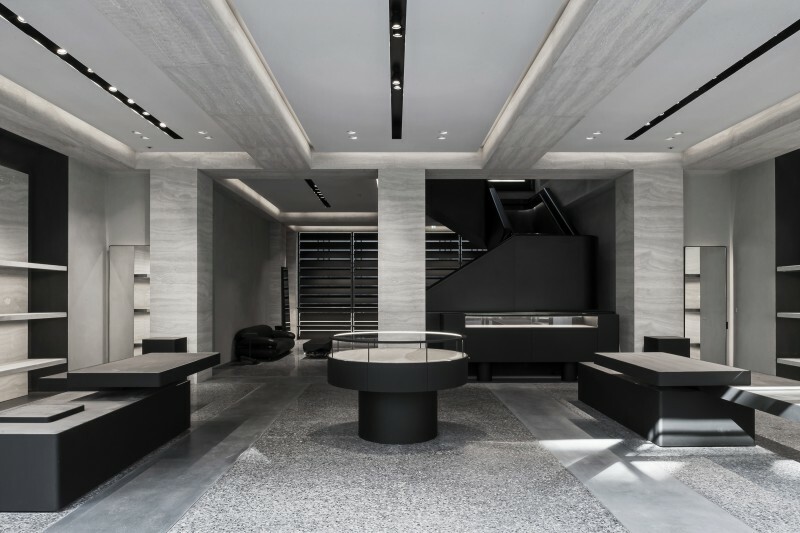 The store has the stark, sleek designs characteristic to all of Wang’s brick and mortar stores. 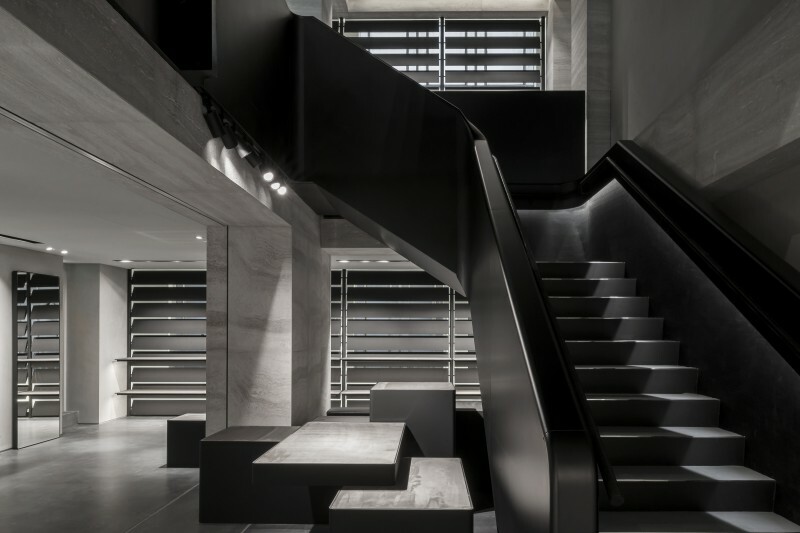 Some design aspects of the store include dark grey concrete flooring, a sculptured central staircase with a handrail embossed in stingray leather that connects all three floors, a geometric grid of silver travertine columns, and laser-cut stainless steel wall panels. 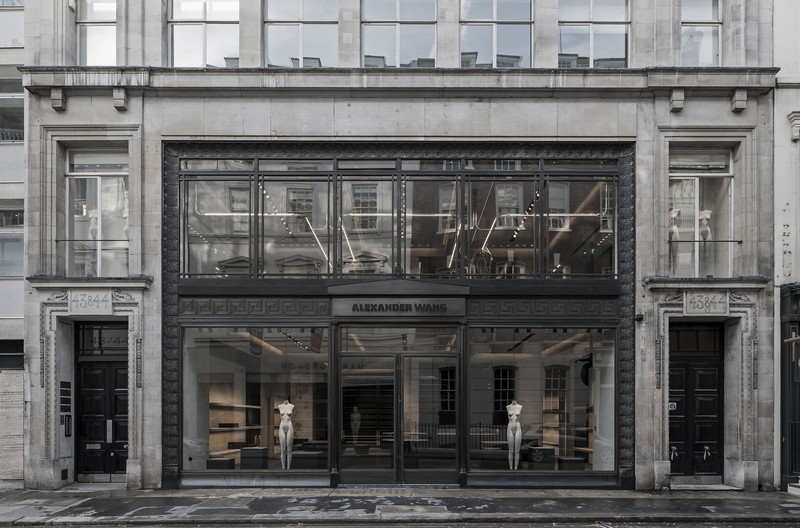 “The essence of the London store reflects a coherent synergy between Alex and myself and creates a space that makes reference to both modern and classic archetypes,” said van Duysen in a press statement. 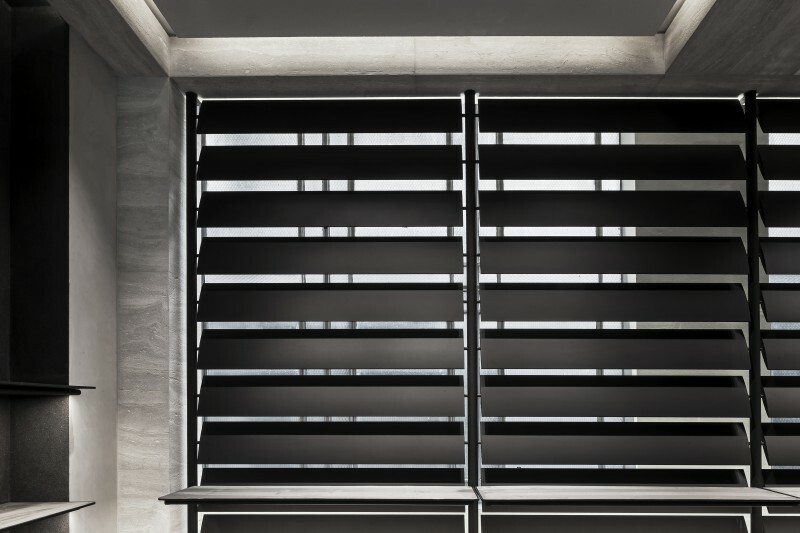 “The rich heritage of the building and the Mayfair area juxtaposed with Alex’s fascination with less traditional materials – such as rubber, distressed chrome, embossed leathers – and the ‘unexpected’ create something very special that speaks strongly to our combined aesthetic – geometric proportions with a refined contemporary edge.” The furniture accents are a combination of custom-designed furniture by Alexander Wang for Poltrona Frau, designs by Vincent van Duysen Architects, and re-editions of ’70s Italian design by Gianfranco Frattini by Tacchini. The store will also feature sculptures by artists Ben Storms and Gerard Kuijpers. This is the 25th store opening for Alexander Wang and the first European flagship. Alexander Wang is available worldwide in over 700 retailers and operates its own e-commerce shipping to over 50 countries. “I have always loved London,” said Wang. “I am so proud and excited to open my first European flagship store here.” Expect more stores to open here and abroad should Wang’s talks with General Atlantic lead to an investment in his eponymous label.